Stalked your customers on social media lately? As creepy as the suggestion sounds, it might be the key to turning them into raving fans. My good friend Mariella recently checked in to the Old Clare Hotel in Melbourne. 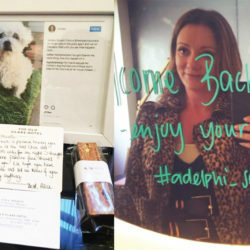 On her bedside table was a framed picture of her puppy, printed directly from her Instagram page….